Shanghai Disneyland's most thrilling attraction, Tron Lightcycle Power Run, could be making its way to U.S. Disney parks. The attraction opened on June 16th, 2016 in Shanghai to rave reviews, unlike its movie counterpart, Tron: Legacy. The Tron Lightcycle Power Run is a roller coaster that puts riders on their own Lightcycles, tearing through the Grid at almost 60 miles per hour, which makes it the fastest of any Disney roller coaster to date. WDWNT reports that a group of Disney engineers responsible for design and budgeting have been sent to Disneyland Shanghai to possibly bring the Tron Lightcycle Power Run to the U.S. Disney parks. Rumor suggests that the attraction could be built in Tomorrowland within the next five years. "Walt Disney World is planning to build the attraction in Tomorrowland ahead of October 1st, 2021, the start of the 50th anniversary celebration for the entire resort. This would ensure major new additions in each of the four parks leading up to what should be a milestone event lasting 18-24 months. The enhancement at Epcot should begin by that time, and Star Wars land, Toy Story Land, and Pandora: The World of AVATAR will all be open and operating, leaving Magic Kingdom needing something big and new. Currently, the attraction would sit on the site of the Tomorrowland Speedway, but the former Galaxy Palace Theater space (now cast member parking) is a possibility." Tron would not be the only movie-themed attraction on the horizon for Disney as the Star Wars, Toy Story, Avatar, and Guardians of the Galaxy attractions are either under construction or being developed at the moment. Another possible rumor suggests that the mechanics of the Lightcycle Power Run could be repurposed and used for the often-mentioned Captain America roller coaster to go along with the Guardians of the Galaxy - Mission Breakout! ride, which is scheduled to open on May 27th, 2017. The repurpose does make sense considering the current popularity of Marvel and Captain America franchises as well as the upcoming Avengers: Infinity War film in 2018. Regardless of where Disney decides to go with the attraction, it is sure to be a huge hit. The Tron Lightcycle Power Run attraction fuels the rumors that Disney is continuing to pursue a Tron Reboot, which is rumored to be starring Jared Leto. Much like the ride, the reboot is still in the very early stages of development and does not have a hired writer or director. This could be a big gamble on Disney's part, putting money into an attraction based on a film that has not proven to be a box office smash. But it does fit into Disney's recent jump into incorporating movie-themed rides and the Tron Lightcycle Power Run is a huge success for Shanghai's Disneyland Resort. The original Tron starring Jeff Bridges was released in 1982 by Walt Disney Pictures to mostly favorable reviews and was a moderate success at the box office. Since the movie's original release it has gained a cult following and been hailed for its early computer animation and three-dimensional look. 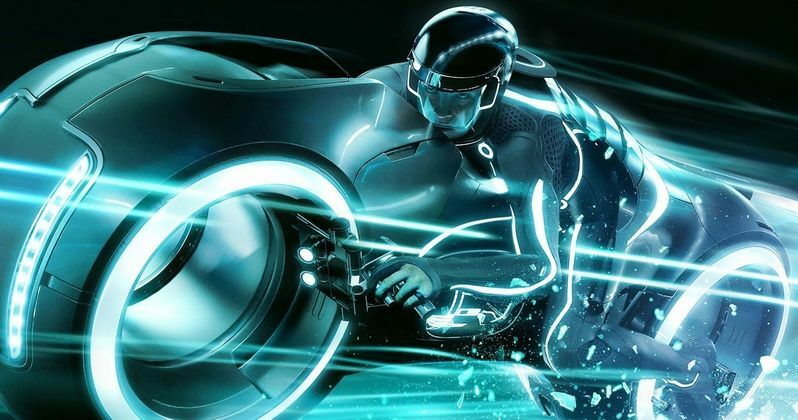 In 2010, Tron: Legacy was released to mixed reviews, but was once again mainly praised for the visuals effects and design of the movie. So, at the very least, a Tron roller coaster will definitely look amazing.